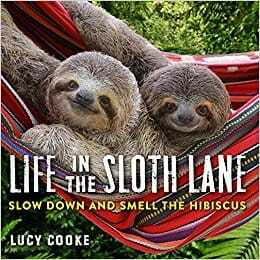 Combining the irresistible cuteness of sloths with words of wisdom about slowing down, Life in the Sloth Lane is a mindfulness book like no other. On spread after spread we see heart-tugging, full-color images of sloths—grown-ups and babies, both two-toed and three-toed, draped in trees, lying on hammocks, eating, hugging, nuzzling, playing—paired with inspiration on the joy of living slow, including quotes from Thoreau and Emily Dickinson, Paulo Coehlo and Elizabeth Gilbert. Life in the Sloth Lane is the perfect gift for anyone who wants to step out of the fast lane. Or—hint, hint—needs to. Preorder your copy by April 16 and receive a free sloth poster! Visit www.workman.com/slothlane for more details. Hang on tight for a year of friendly and sweet sloths doing their favorite activities—from dangling with their friends to napping peacefully to happily munching on hibiscus flowers. Meet Anakin, a baby Bradypus sloth from Costa Rica; Yogi, a skilled climber, hanging out in some branches; and Beyoncé, known for her gorgeous honey-colored fur. 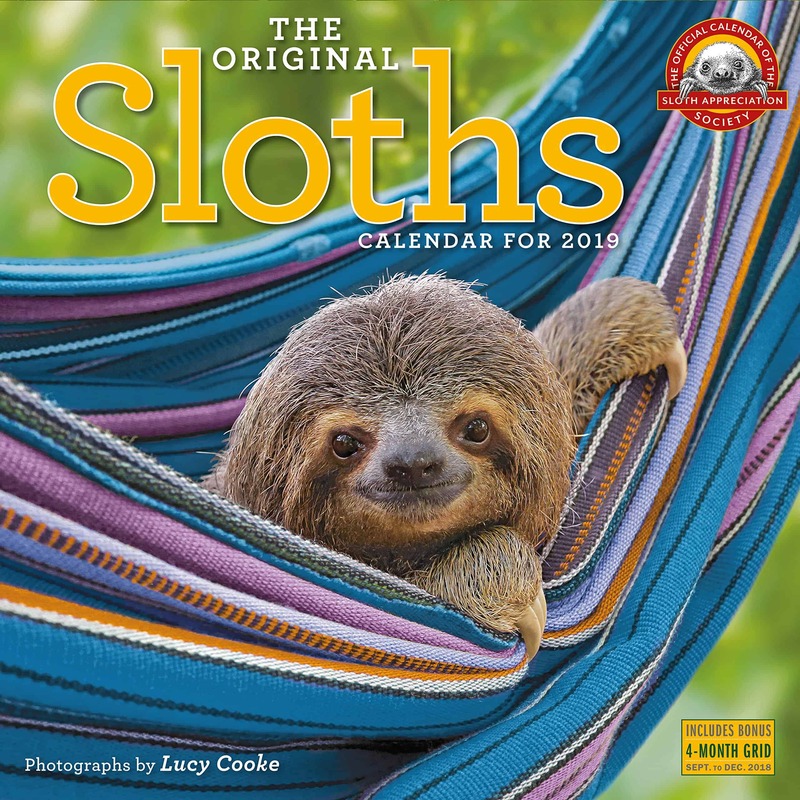 The Washington Post declared “sloths are the new kittens,” and the success of Sloths Wall Calendar—a sell out in 2018—supports that bold claim. How could these slow-moving, sleepy, and eminently cuddly animals possibly get any more adorable? 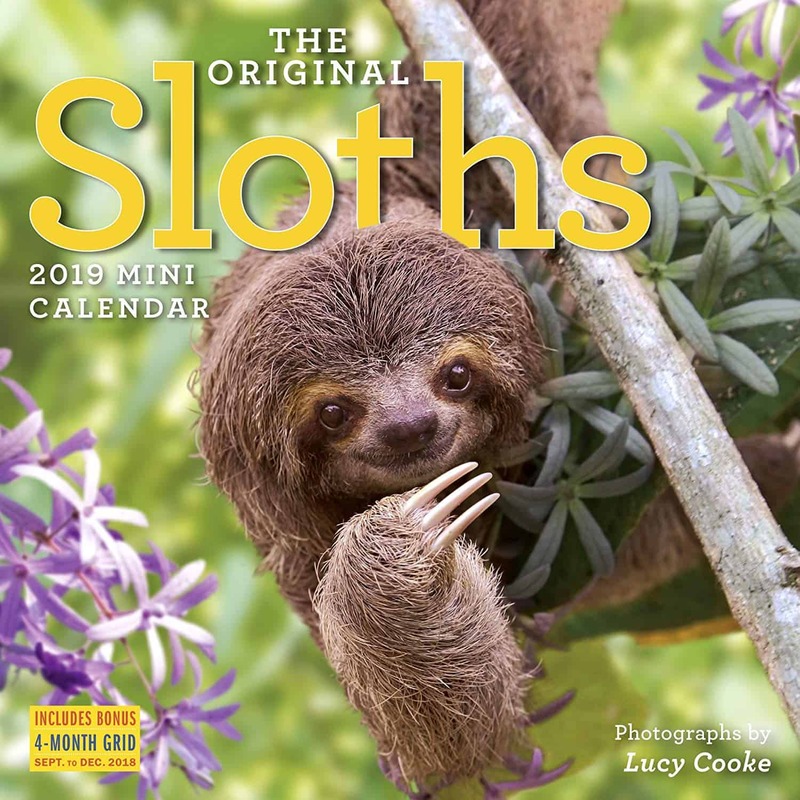 Introducing the new SLOTHS MINI CALENDAR, boasting a wee 7inch x 7inch format that enhances the cuteness. Hang it on the fridge, in a locker, in your cubicle at work. 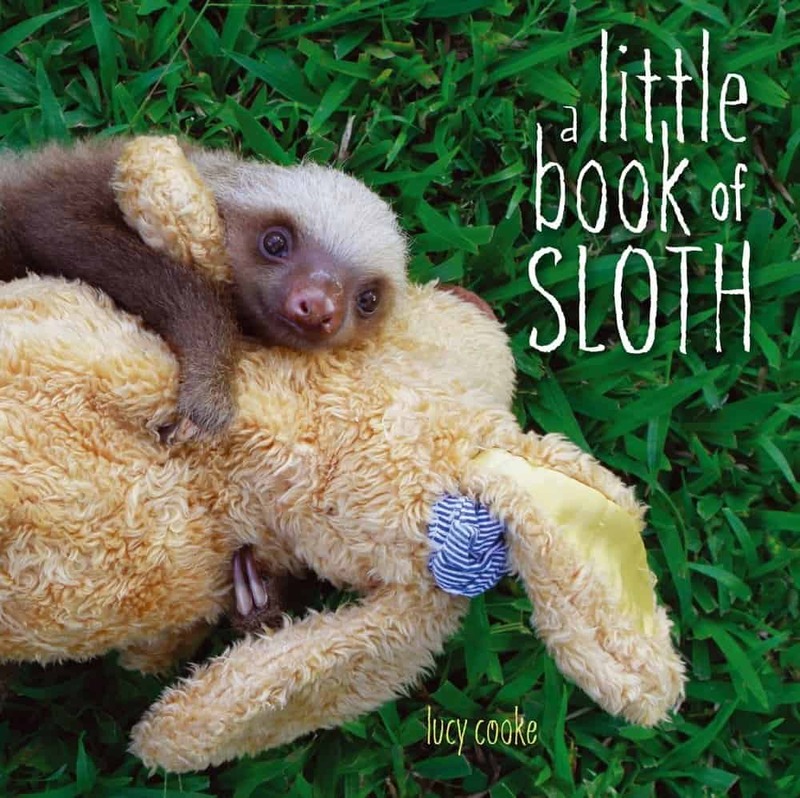 Cozy up with adorable baby sloths in this irresistible photographic picture book. A New York Times best-seller with over 75 5***** reviews on Amazon. 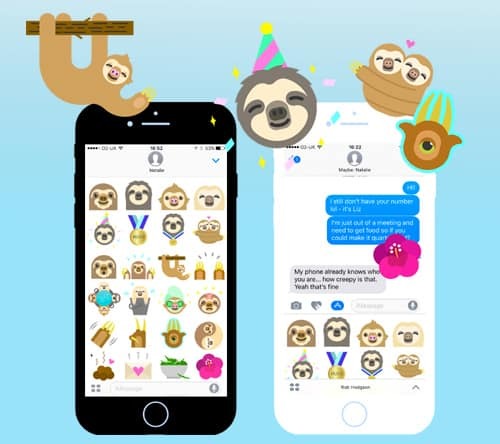 Say it with sloths! When you’re feeling overwhelmed by life or your to-do list, let these sweet, sleepy stickers remind you to take a moment to slow down and smell the flowers. Website by S.PL All content © Lucy Cooke 2018.